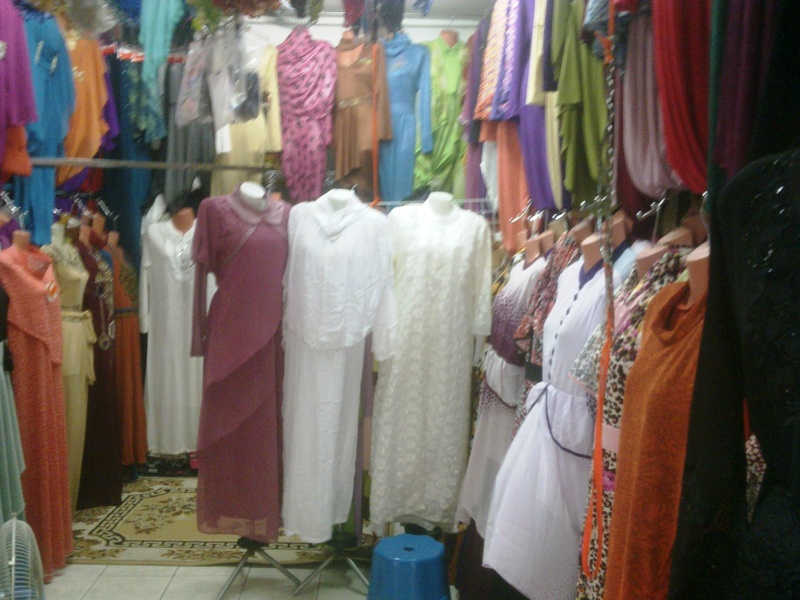 Reasonably priced abayas, long dresses, scarves, pins, etc. 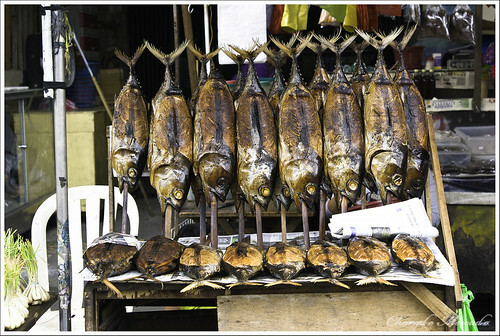 are very hard to find in Metro Manila. I expected to find them where I usually see a lot of Muslims: Maharlika Village, Sunshine Mall FTI, Greenhills Shopping Center, Makati Cinema Square, Divisoria, etc. I managed to find some stores but they offered very limited choices. 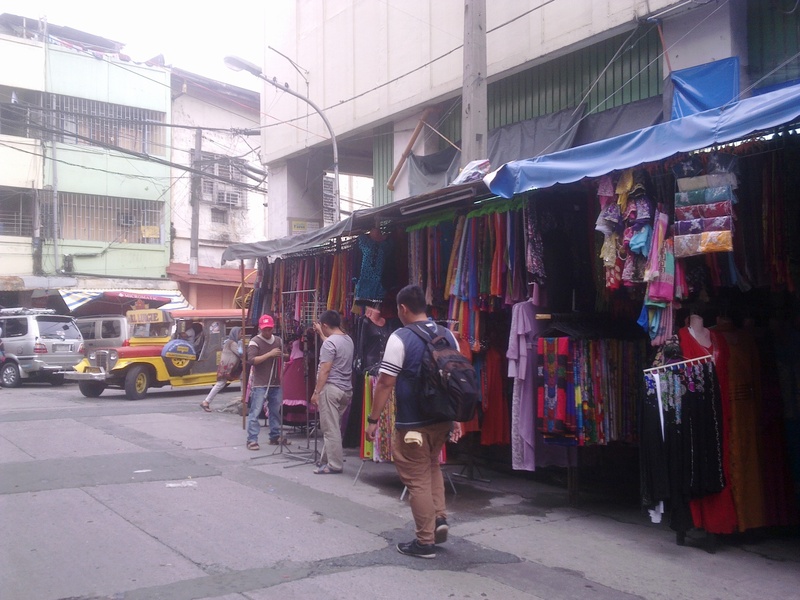 The Muslim shop keepers must have seen the disappointment in my eyes while I was going through their stock that they had the heart to direct me to the Muslim Town of Quiapo, Manila`s Mecca for anything Muslim. There are also several halal restaurants and Muslim hostels. 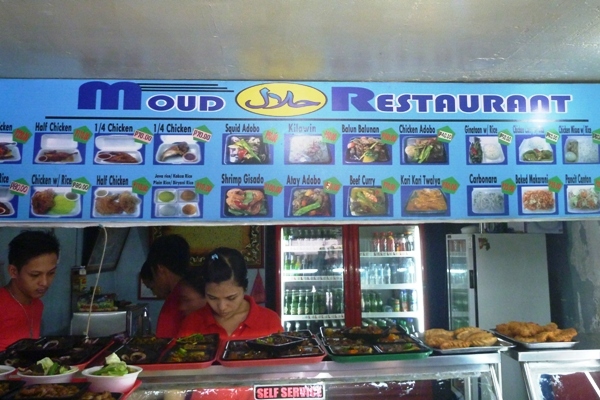 A good restaurant to try is Moud`s. They have good roasted chicken. Good good. I usually go there on Sundays, around 8:00am. I like going there early so I would have enough time to go around the area until before Dhuhr. 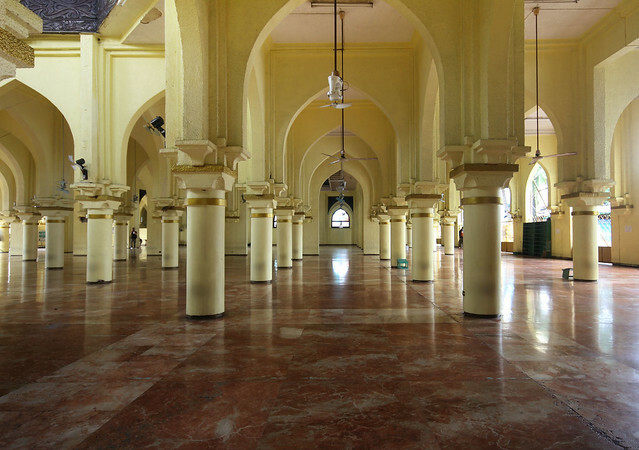 At Dhuhr I make salaat at Manila Golden Mosque and Cultural Center. Then have lunch at Moud`s Chicken. 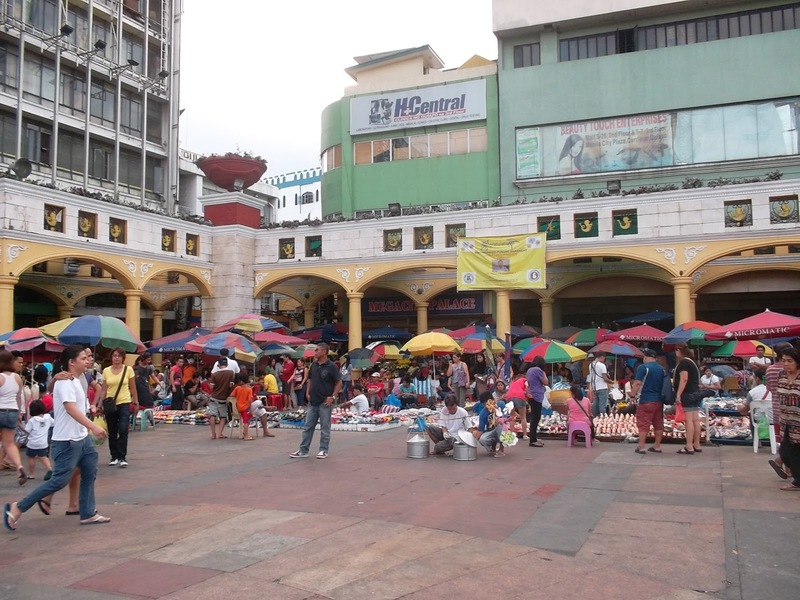 After lunch, I brave the busy square of Plaza Miranda in front of Quiapo Church to buy fresh fruits, vegetables, seafood, etc. before heading home. When I have extra cash, I drop by the hidden accessories, beads, pearls shops surrounding the square. 1. 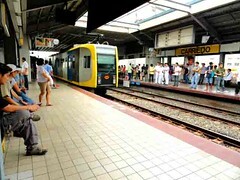 The best way to go to Quiapo is via the LRT1 Line. 2. I go down Carriedo Station. 3. 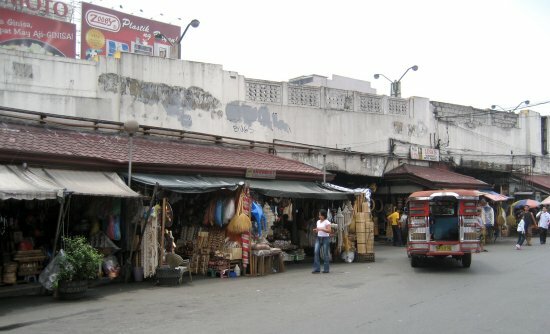 I brave Carriedo St. walking towards Quiapo Church. 4. 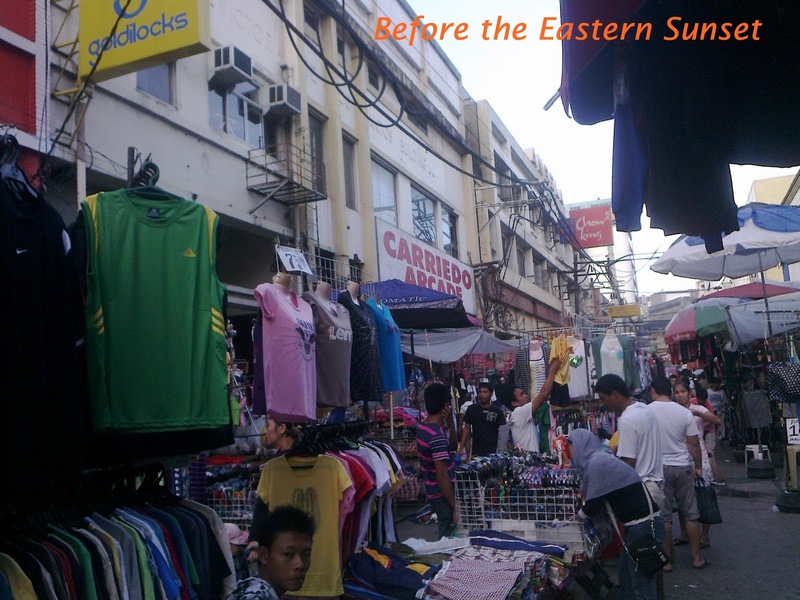 I walk to the end of Carriedo St. and arrive at the left side of Quiapo Church. 5. 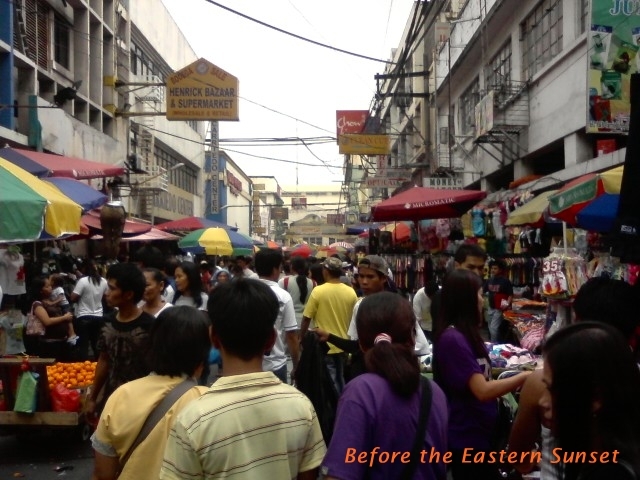 I turn left from this point and find myself in Plaza Miranda, right in front of Quiapo Church. 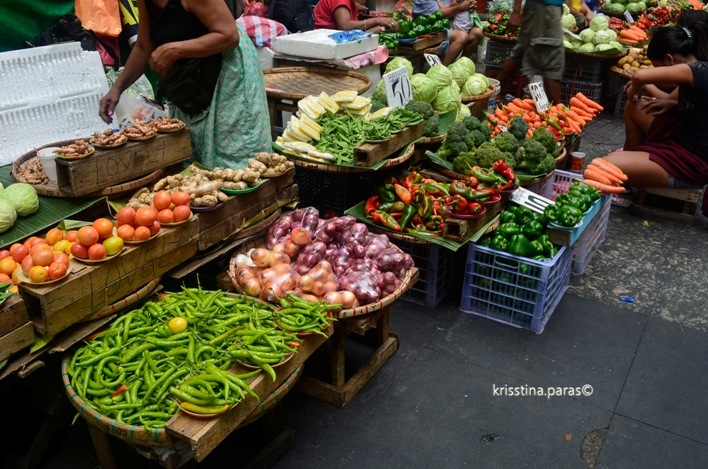 Plaza Miranda is a good place to buy fresh fruits, vegetables, and flowers on Sundays. 6. 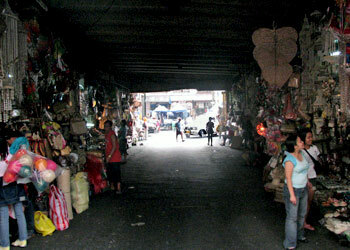 From Plaza Miranda facing Quezon Boulevard, I turn right to the passage way under the Quezon Bridge. 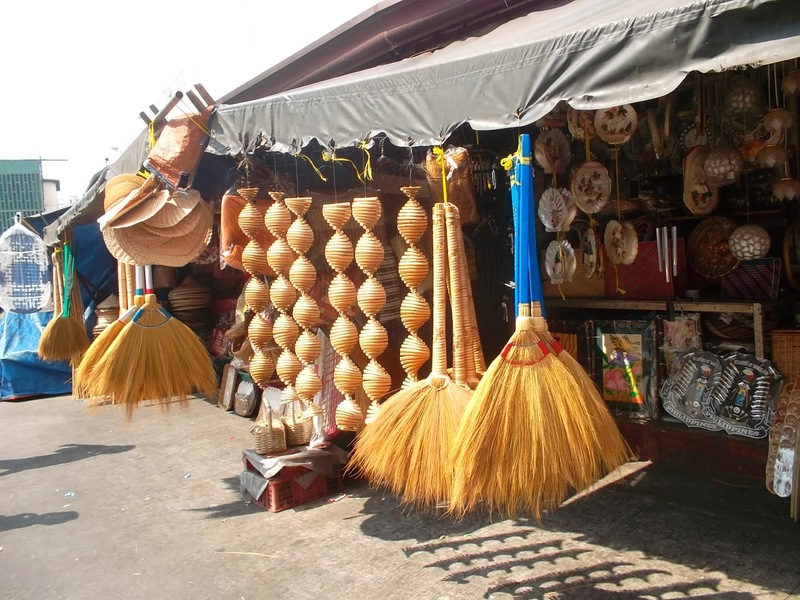 Here I see a lot of Filipino souvenirs, home furnishings and accessories, native bags, costumes, etc. 7. 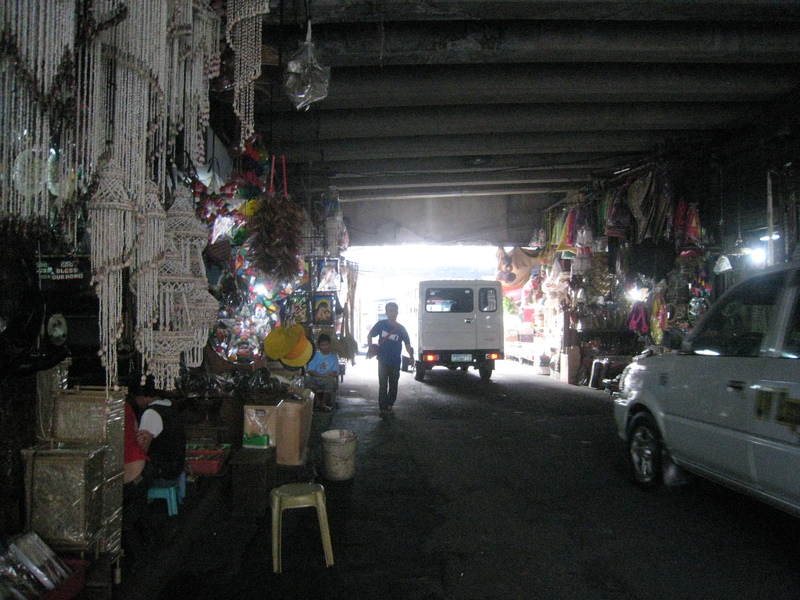 I cross Quezon Boulevard through the pass under Quezon Bridge where I find more Filipino crafts. 8. After crossing Quezon Boulevard through the underpass, I see a welcome sign to the Muslim Town. 9. The shops in this area sell most, if not all, of the things I will need. 10. 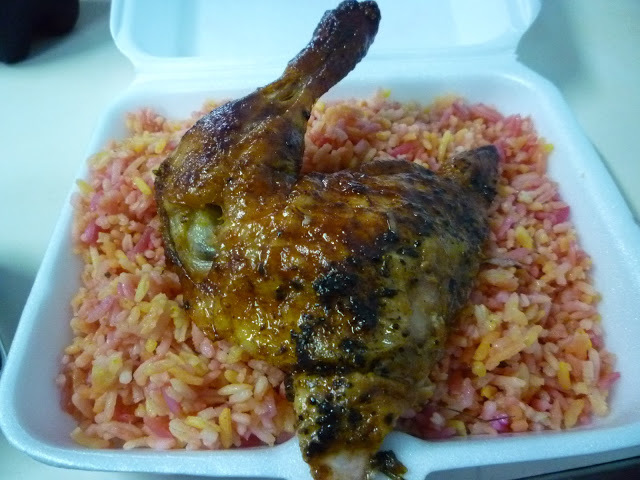 I visit Moud`s Halal Restaurant. I just love their chicken. 11. Before heading home, I make sure I visit Manila Golden Mosque and Cultural Center. I frequent this town as it has the safest and cleanest streets, the coolest quality finds, the yummiest food, and the most courteous people in Manila. InshaAllah, on my next trip, I will be able to go deeper into the town and find more interesting things to share with you. 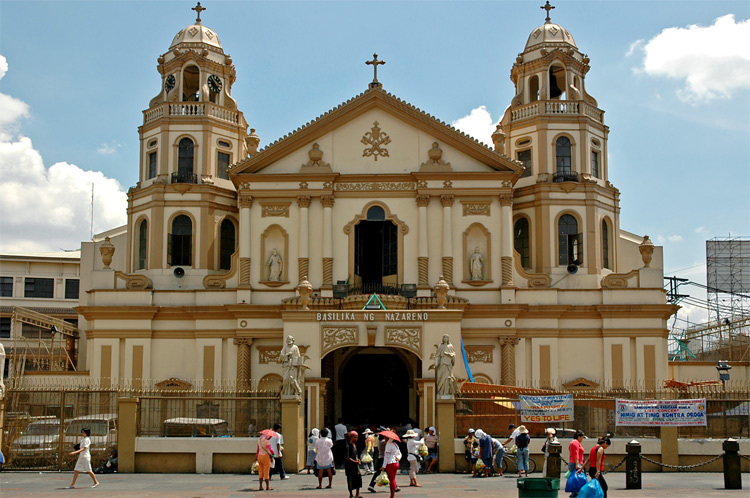 I dare you to visit Muslim Town Quiapo and post photos and videos of your trip. 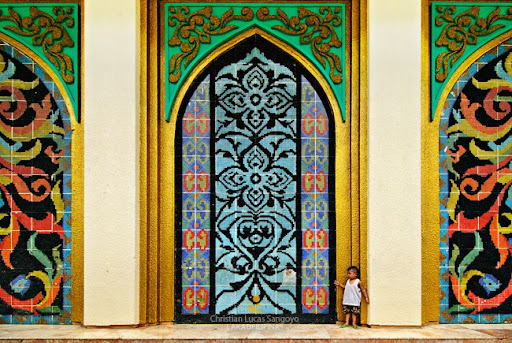 This entry was posted in How to's, Life in Islam, Muslim in Manila, Religion and Society and tagged Abayas Manila, Buy prayer rug in Manila, Directions to Muslim Town Manila, Golden Mosque Philippines, Hijab shopping in Manila, Manila Golden Mosque, Manila Muslim Community, Manila Muslim tour, Muslim in Manila, Muslim Manila, Muslim shop in Manila, Muslim Town Quiapo, Muslim Town Tour Manila, Muslimah in Manila, Quiapo for Muslims. Bookmark the permalink. I want to say thank you very much for this. I’ve been looking for such places as well but haven’t been successful. And then mashaAllah I stumbled upon your post a week or so ago. Alhamdulillah I was able to visit the Muslim Town and Golden Mosque today. It’s the first time I got to pray inside a masjid since I reverted and subhanAllah what an amazing experience. We need more towns where we can feel the presence of, and that we’re part of the Ummah. I would love to show you as you asked but I didn’t feel the need to take photos. Anyhow, I know it’ll remain as clear as day. Again, thank you. I will inshAllah visit Quiapo next year and was wondering if you could kindly provide me with any further information with regards to directions, muslim hostels, mosques, places to see and halal restaurants. Please feel free to contact me by email. Assalamu alaikom, Angela. 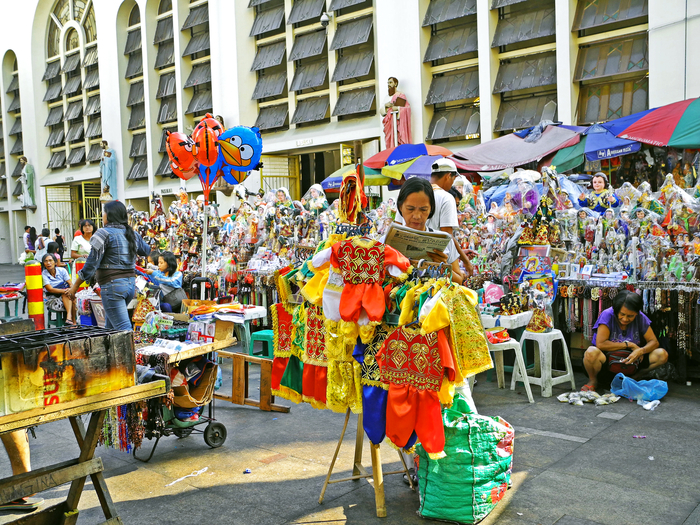 Quiapo is the best place to get all these if you are in Manila. Email me at maryamcayton@gmail.com. If you have not gone there yet, we can set an appointment and go there together. Assalamu Alaikom Maryam and Angela. Can I join u when u hijab shopping and visit golden mosque to pray? Inshallah sisters. I’m just newly converted. I haven’t sallah yet. Assalamu alaikum, my sister. Alhamdulillah! I would love to meet and get to know you. I can share with you some support groups that can also help you grow in Islam. 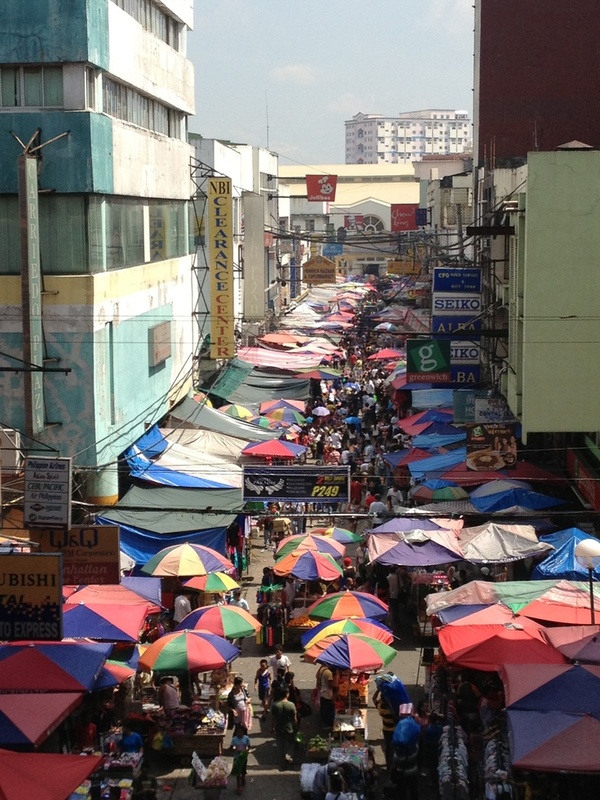 I am usually in Quiapo on Sundays in the morning. Please contact me by email. maryamcayton@gmail.com. I am really looking forward to hear from you soon. Salaam. Salaam sis! 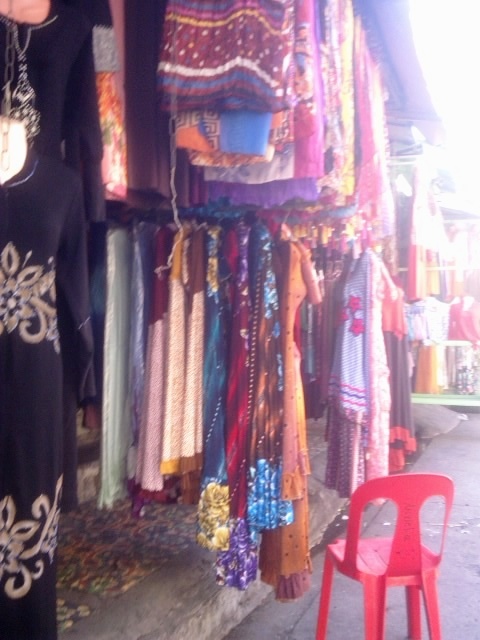 The price range for abayas is 500 to 2500 pesos. Make sure you check out all the stores first before buying. 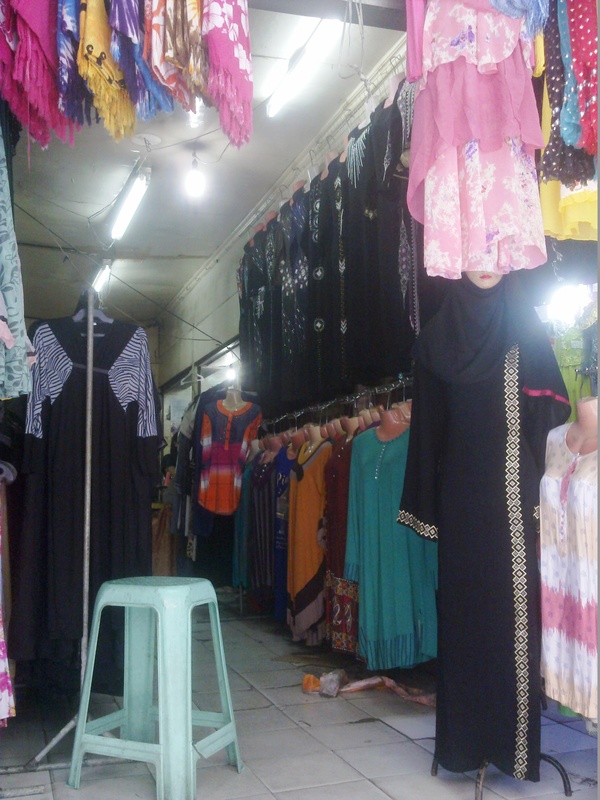 A decent abaya with simple design is around 700 pesos. 🙂 Assalamu alaikum. 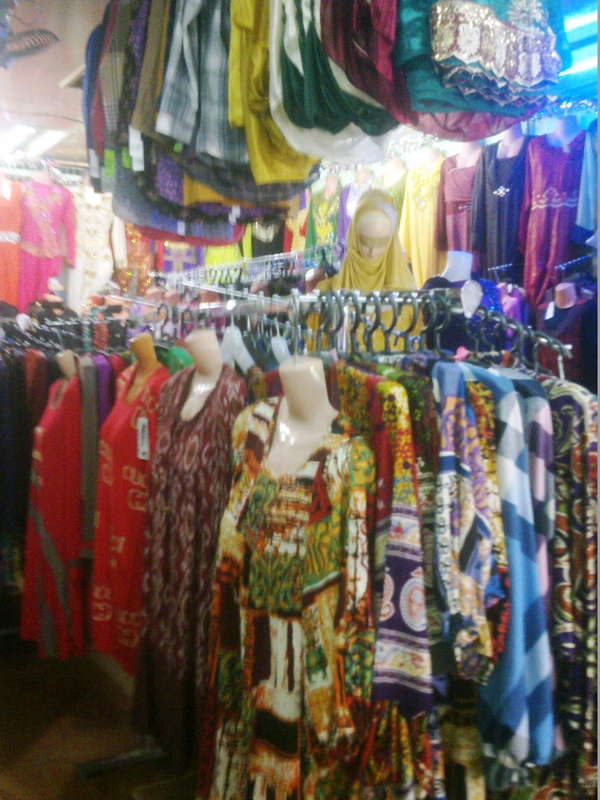 in shaa Allah on monday i try to find this and buy some hijab. Assalamu alaikum. I apologize, my sister, for taking a while before I could approve and reply. 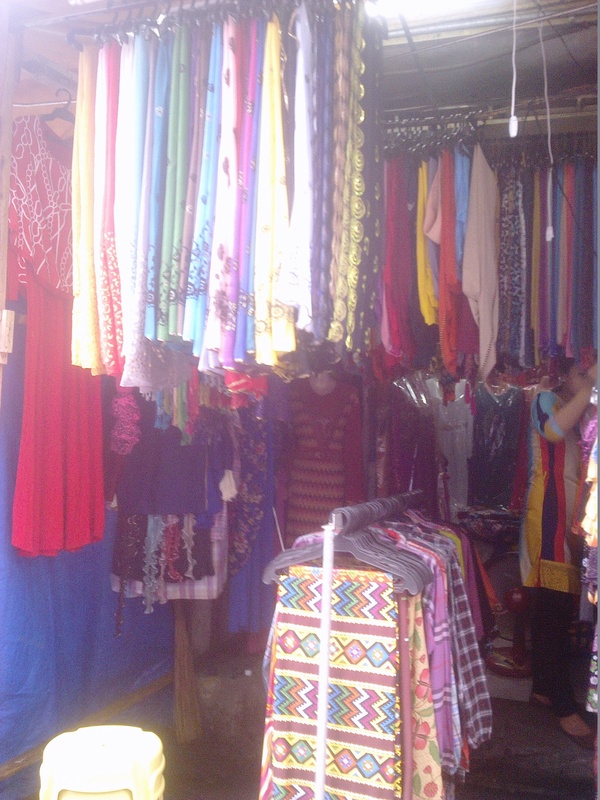 I hope that you were able to visit the Muslim Town and have done some shopping. Salaam, my sister. 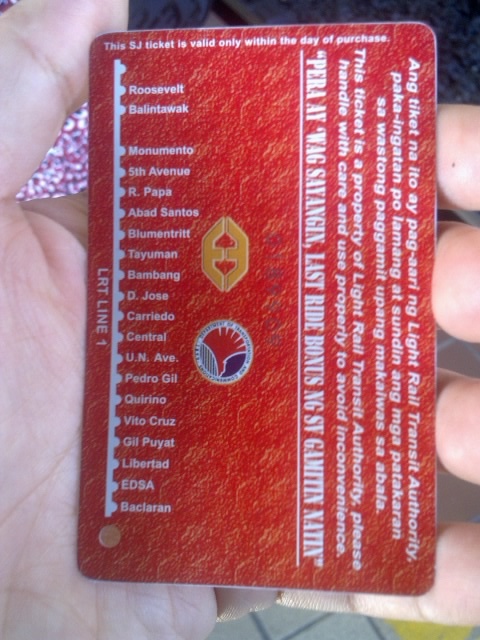 Thank you for the guide on how to get to Quiapo. I went there once with my friend for Friday prayer, because it was the only mosque we found online, and one taxi driver took us there. We had real problem of getting a ride back to Makati, more than 2 hours of catching taxis which were all full, and to be honest, Quaipo region did not look quite safe, mosque is ok, as we were praying there, but outside, we are just white guys so a lot of people on the street were just trying to sell something. Later most of our Filipino contacts told us to avoid that region as it is not that safe for white people. I would appreciate your opinion on that. If u feel Quiapo is not safe for you since you are white, I would suggest you go to Greenhills. It’s much safer there bcoz it’s inside virra mall which is a high end shopping mall. If u not been there get taxi and ask driver to drop u off at greenhills shopping center. U can ask the security guard in the way to the prayer area or mosque. It’s at the back. 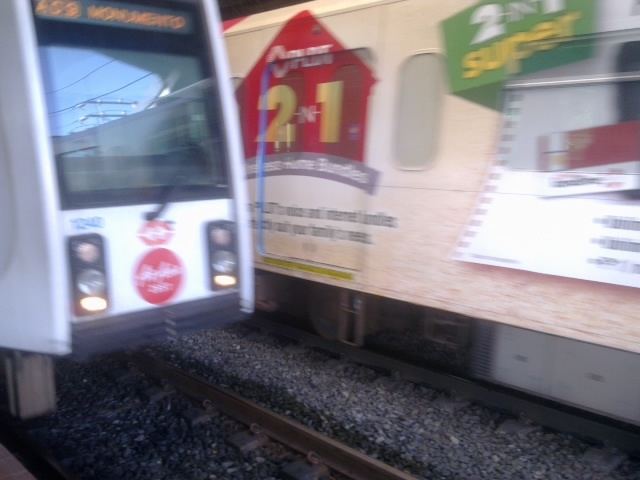 Look for jollibee and walk till u see Inasal restaurant. There’s a passage going to the prayer area. Assalamu alaikum. 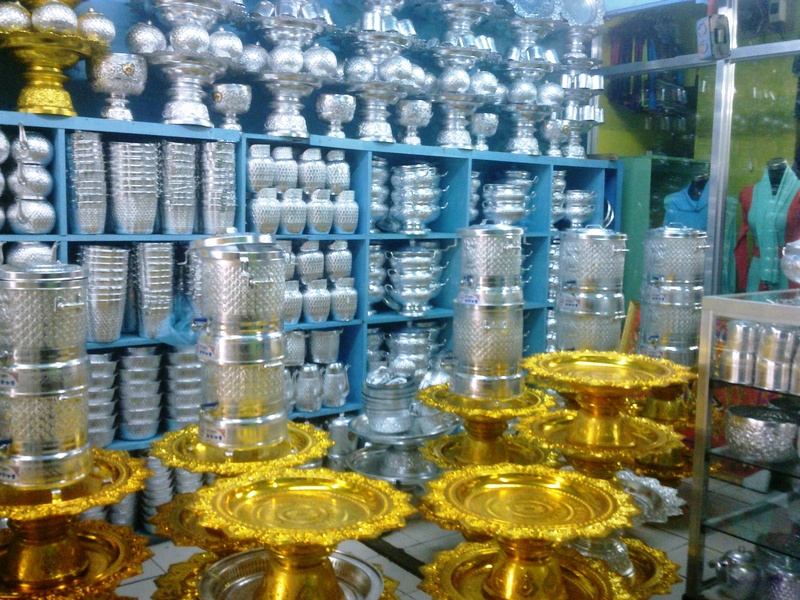 I have not been to the musalla in Virra Mall but I`d love to go there too. Thank you for the directions. Jazakallah Khairan. Assalamu alaikum, brother. Alhamdulillah that you were able to visit the Golden Mosque. I am sorry that you did not have a pleasant experience when you were going home. For Jumaah, I would suggest that you visit the Indonesian Embassy in Makati. The embassy has a musalla and the Jumaah kutbahs are in English. 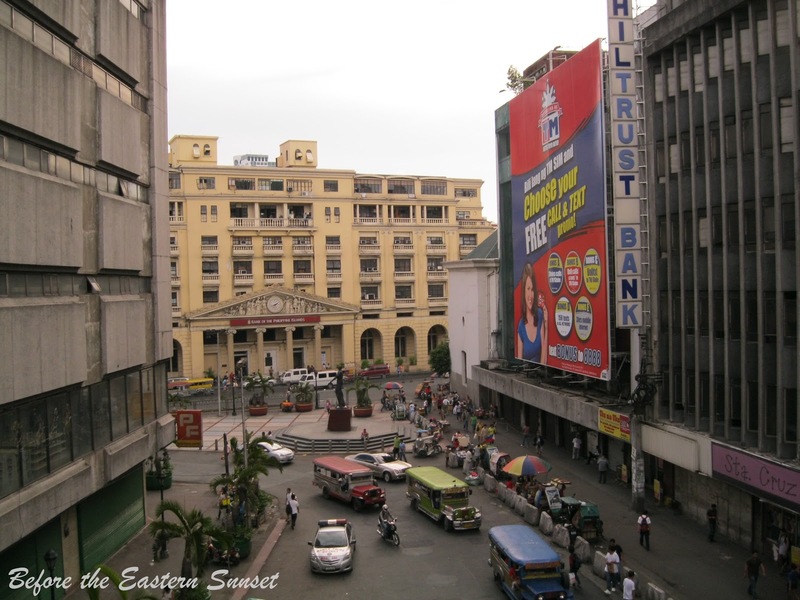 The Embassy is very near Makati Medical Center. Just bring an ID with you when you go there. Hello, I just wanna ask, if there is an Abaya For kids, 4 years old. hello. I would just like to ask if the shops are open even on Fridays? thank you. Assalamu alaikum. Yes, they are open on Fridays. 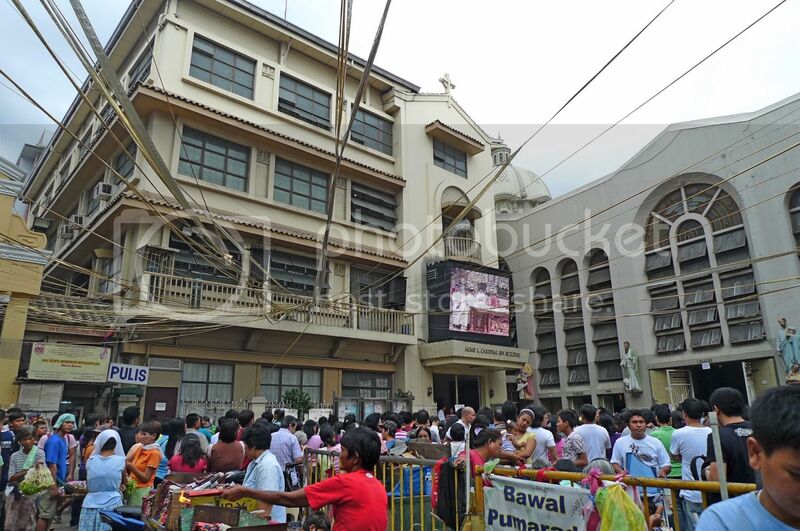 Are Christians allowed in Muslim Town Quiapo?I just wanna see there around one of these days. Assalamu alaikum. I apologize for the late reply. Yes, non-muslims are allowed in the Muslim Town. Assalamu Alaikom sisters. just like srr , I am a new revert Muslimah . Can u guide me in hijab shopping and to visit golden mosque to pray? Can you please help me to find where can I talk with people who would help me to grow in this iman. I haven’t had my salah yet. Shukran in advance. Wa alaikum assalam. Although I would love to accompany you, I am currently unavailable to meet you. However, I know some sisters from New Muslim Care Philippines who may be able to assist you. You may contact them through Facebook. Please mail me at MaryamCayton@gmail.com. Thank you. What did I do when my taxi driver played Christian Worship Music for me? 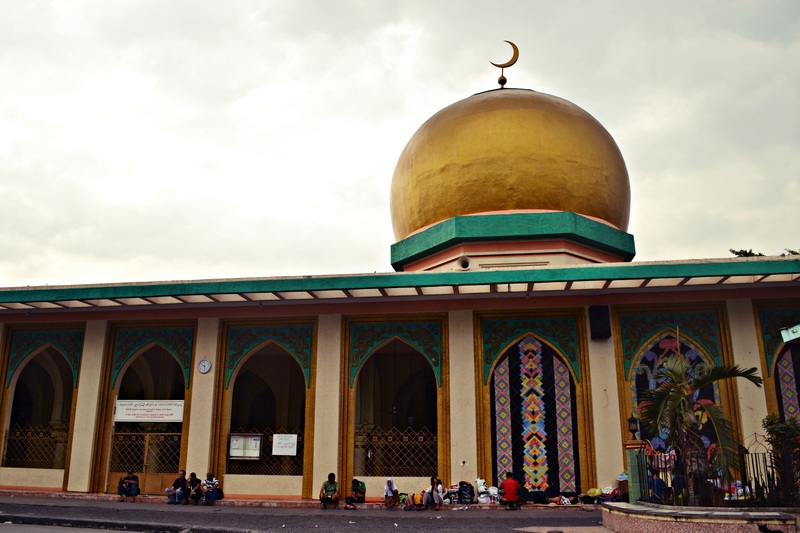 Masjid at Market Market, Taguig City: Finally found it!